It is fairly common to hear internet marketers proclaim that “Google AdWords simply does not work”. This complaint is often heard from corporations of every size. 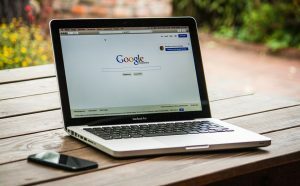 Unfortunately, these businesses really want to use AdWords to benefit their bottom lines, but they are not sure how they can accomplish this feat. Does this sound familiar to you? Do you see Google AdWords as your nemesis and you are looking for a way to conquer it and get more ROI from your AdWords campaign? If your competitors are still spending money on AdWords, then it must be working well for them. So, if it is not working for you, it may be possible that you are not using the tool in the correct way. There are several main reasons why marketers and businesses tend to forgo AdWords and conclude that it does not work for them. This is one of the most common reasons why business owners quit their AdWords campaigns. They usually focus only on the relevant short tail keywords for their businesses even when these words are not profitable or very efficient for them. On the other hand, longer tailed keywords are generally more descriptive, and are not as broadly defined. Your competitors will not be vying for these keywords so you will not have as much competition. You will also have a greater chance of converting your visitors. Take your time and try to create campaigns that are narrowly defined and targeted. Another reason why AdWords campaigns falter is because advertisers do not spend a lot of time working in their accounts. You will need to log-in often if you expect to see a positive ROI. Fortunately, there is a simple fix to this problem. You will need to commit to spending at least a half an hour in your AdWords account daily. During this time, you will resolve any major issues and then spend the rest of the time creating landing pages, testing new copy, placing new negative keywords and creating extensions for your current ads. There are some marketers who do not have a plan in place before starting AdWords. They jump right in and quickly begin purchasing keywords. They are then at a loss for words when they realize that this strategy is not producing the results they were looking for. Before you begin an AdWords campaign, it is important that you do some research. Spend a little time to try and understand what your audience might search for. How can you solve a problem they may have by having your ad and landing pages optimized correctly with the right keywords? Your landing page is your final opportunity to turn a click on your site into a conversion. If you have everything correct in your campaign but you have a bad landing page, your ROI will suffer. This can be resolved by implementing two tactics. The first thing that you should do is create a separate landing page for each ad group that you create. However, the message must be relevant to the ads you placed. Never send your traffic to just one landing page. You can also switch up your call-to-action or your headline. Also, consider changing the colour and location of buttons. Conquering Google AdWords is possible, and it will always be an excellent way to acquire new customers. By choosing the right strategy, marketers and business owners can be successful with this advertising channel.